Meena Chowdery (30) became elephant handler few months ago. 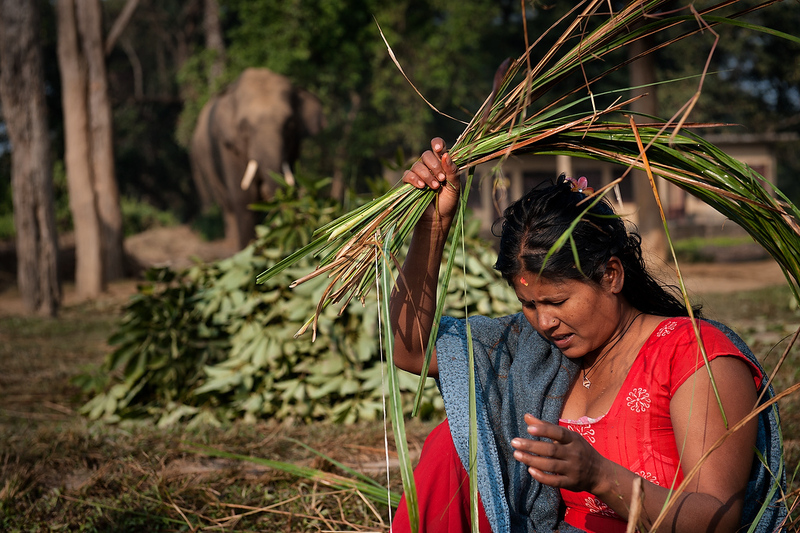 Like her female colleague, Meena applied for mahout's job because it is a government position. Before she joined the stable she never worked with animals. A month ago her elephant Pojee run away from the stable and never returned.